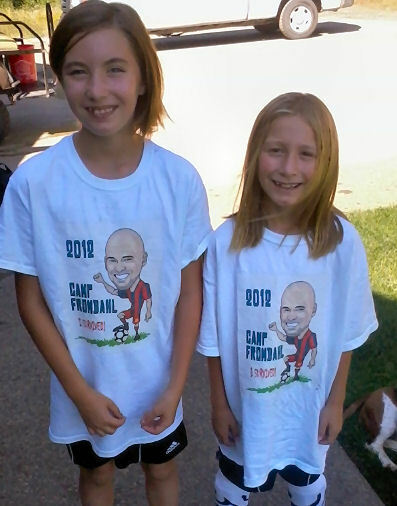 Here is a great use of caricatures used on tshirts for participants at a soccer training camp. The art is by artist Luis. Thank you to our customer for sending this picture to us!